How do I enroll my student in your school?  The first step in the enrollment process is to contact the Admissions Office at 305-827-8767 and schedule an appointment for touring and testing. The Admissions Office is open Monday through Friday from 7:30 a.m. to 4:00 p.m.
How much is tuition and how are payments made? Tuition costs vary depending on the grade level, please refer to the Rate Schedule for complete information. Payments may be made monthly or annually. What additional fees will occur, such as uniforms and lunch? Parents may purchase uniforms directly from FlynnO’Harra Uniforms, please visit the School Uniforms page for details. A full-service cafeteria is available offering a wide range of choices. Cost depends on selection. Yes, please visit the Financial Aid page under the Admissions tab for more information. My child is in a gifted program. Will DCS challenge him/her academically? Our curriculum, both in the elementary and secondary school, is geared to challenge students on both sides of the bell curve. Additionally we offer honors classes, Advanced Placement courses, and three distinct diploma options for high school students. Does your curriculum include enrichment classes? Absolutely! Enrichment classes are an important part of our curricula and include Spanish, Computers, Art, Music, and Media Center. Elementary students also have the option to take either Band or Choir, and secondary students may choose from a wide array of elective courses. In pre-school, the ratio is one teacher to 10 students. In elementary, the ratio is one teacher to 16 students. Our class average in the secondary school is 15. What is the youngest age group for school? We admit students as young as two-years-old into our 2K Program. The Two-Year-Old Kindergarten program provides care that supports the cognitive, emotional and physical development stages of toddlers in a safe, happy and clean learning environment. For more information about 2K as well as our preschool, elementary and secondary programs, please contact the Admissions Office at 305-827-8767. Where can I buy uniforms? Dade Christian School is pleased to welcome FlynnO’Hara Uniforms as our official uniform provider. Students are required to adhere to the policies stated in the Student Handbook regarding appearance and attire.